ST. LOUIS, MISSOURI--Belden Inc., a global leader in signal transmission solutions for mission-critical applications, is excited to announce three new cable and connectivity solutions being introduced in Q1 2018. 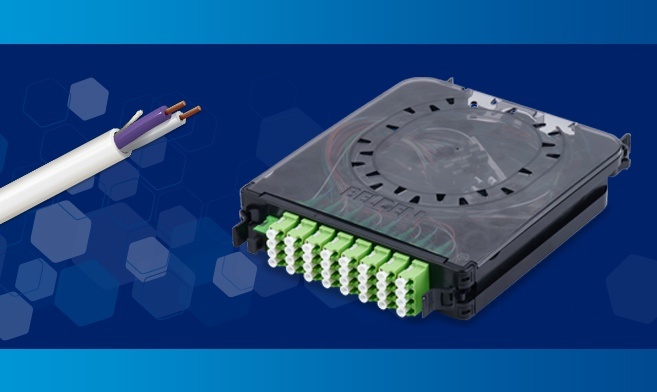 For easier, more cost-effective installation, management and repair of splitter modules and harnesses, FiberExpress (FX) Enterprise Closet X (ECX) Splitter Kits eliminate spider-leg cabling, feature a plug-and-play interconnection point, are front accessible for upstream and downstream connector types, and eliminate protective caps through an internal shutter design. When increased network performance is needed, a simple cassette swap is all that’s required. The solution is also compatible with Belden’s FX ECX system, which is optimized for LAN environments. As Internet of Things and digital buildings transform enterprises, dimmable LED fixtures and controls are being installed for improved energy efficiency and remote monitoring and management. Low-Voltage Wiring 2285P (for plenum applications) and 2285R (for riser applications) are designed with the ratings and color-code requirements (violet and gray) necessary for 0-10V LED applications and ballast connections. For plenum applications, cables are made with Flamarrest® insulation and jackets, with low smoke and low flame-spread properties. For more information about Belden’s new cable and connectivity solutions for enterprise networks and AV applications, visit www.belden.com.